This would make it the second straight year that the Lions host the Bears on Thanksgiving. The Lions previously hosted the Vikings for two consecutive Thanksgivings, in 2016 and 2017. 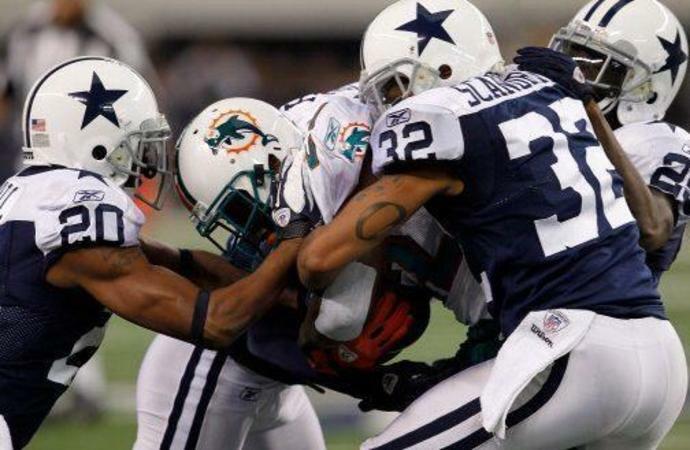 It would be the Dolphins' sixth Thanksgiving visit to Dallas; they've previously been there on Thanksgiving in 1973, 1993, 1999, 2003 and 2011. The 1993 Dolphins-Cowboys Thanksgiving game is one of the most famous Thanksgiving games in NFL history, with the Dolphins winning on a last-second field goal after Cowboys defensive lineman Leon Lett fumbled the game away by muffing a blocked field goal. It's the NFL's 100th season, and the league is attempting to highlight matchups with historical significance, so it's no surprise that an old rivalry like Bears-Lions and a Thanksgiving matchup with some tradition behind it like Dolphins-Cowboys would be on the schedule. There's no word yet on what the third Thanksgiving game, on NBC in prime time, will be.